Please make suggestions about what to film and where to shoot, i.e. what sequences we would like to see from the "14 on Fire" shows in the Far East and Down Under on their official Youtube pages. Please post your ideas here. This is our chance to make ideas for some great Youtube hits from this Stones tour! Edited 5 time(s). Last edit at 2014-01-21 13:24 by bv. Well, someone would say, film the special songs like "Sway" or "Can't You Hear Me Knocking" but I would like to hear the new 2014 version of "Sympathy For The Devil" because I expect very much of it. One question, do they plan to load up full songs or just snips like last year? - footage of the band after the concert, on the backstage, and their reactions of the concert. Edited 1 time(s). Last edit at 2014-01-21 00:29 by Cristiano Radtke. Some footage backstage with family members, showing the generation of Stones' family. Also footage of the boys interacting with each other. The stuff at the end of Sweet Summer Sun was very cool, with Mick Taylor and the rest of the Stones. Yes, maybe a new Documentary like 'Tip of the tongue' on the Four-Flicks-DVD. Or a 'Video Diary' from all 14 Shows - the viewer should have the feeling to be part of the Rolling Stones. - Film the rehearsals!!! They play more interesting songs in the rehearsals than anything that ended up in the setlists of 50 and counting!! For me its all about the music. If the setlist is the same as all the other gigs then I will pass on even the most technically impressive videos. I produce video for a living so I am biased to FAVOR the medium. I love video!! I hope Eagle Rock films some fantastic moments, and that the Stones actually let them release it! There is nothing worse than a production company with their hands tied. I am sure they'll bring us some great content. Looking forward to it! Mick Jagger watching Keith doing his two songs!!! Would it be better on Video? An angle never previously attempted: the scarf cam. The hour of each Rolling Stones before the shows. And the rehearsals. The hour of each Rolling Stone before the shows. And the rehearsals. Yeah...updates from the tuning room. 5 Minutes to Countdown: Leaving the dressing room and walking to the stage and view the crowd! Mick and Keith sharing a mic together. If they play a ballad where Keith is sitting down, I'd like another 'Guitar cam'. Edited 1 time(s). Last edit at 2014-01-21 01:45 by Bastion. Fair @#$%& play to Eagle Rock. They are totally up there with my favourite record companies of the times. Sounds like they working on pulling another one outta the bag! I would like to see a different approach in photography. Maybe some silhouettes, extreme close ups of hands and instruments. Just a different take on the Stones. as others have said.. more lead up shots. Complete ans well mixed songs. The clips that they showed on youtube on the US leg were really bad. They didn't do that great tour justice. 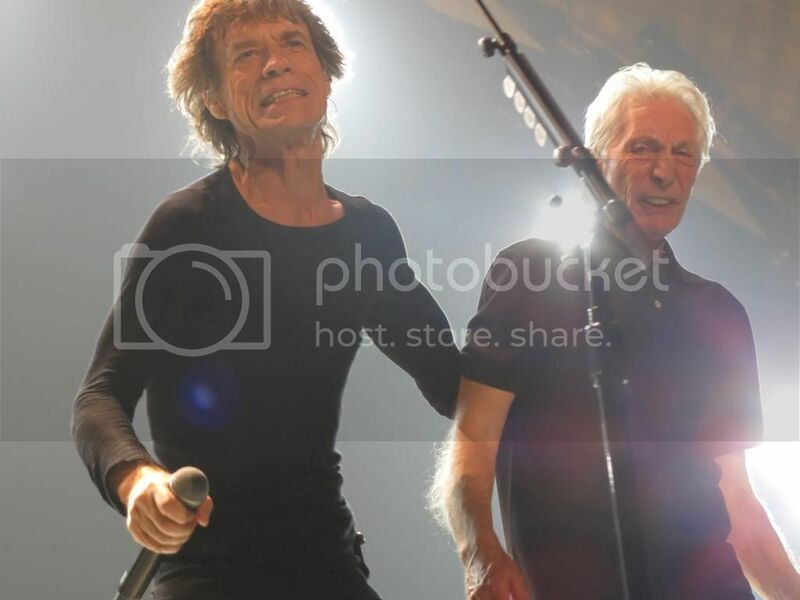 Last year on the Toronto concert (June 6) Mick has remembered that their first single was released on june 7, 1963. February 21 marks the 50 anniversary of the release of Not Fade Away/Little By Little, and it's also their first concert on this tour in Abu Dhabi. It would be great if they could play one of these songs, and this could be posted on their YouTube channel, for those who couldn't attend this concert.